Individually wrapped in colourful cellophane, tied with ribbon. Drop one Bath Blitzer in a warm bath and watch the water blitz into life sizzling, fizzling and foaming. Enjoy the blissful ambience created for you with a little help from Mother Nature and the ancient art of Aromatherapy. Slide into the bath, relax, unwind and enjoy your very own stress free zone. Blitzer's have been carefully formulated using only finest essential or fragrance oils together with well balanced ingredients including water softeners. ENGLISH LAVENDER simple, safe and soothing, a timeless classic, women throughout the ages have found it appealing, with its unique ability to influence the mind, body and the senses lavender essential oil is said to be good for relaxation. Drop one Bath Blitzer in a warm bath and watch the water blitz into life sizzling, fizzling and foaming. Enjoy the blissful ambience created for you with a little help from Mother Nature and the ancient art of Aromatherapy. Slide into the bath, relax, unwind and enjoy your very own stress free zone. Blitzer's have been carefully formulated using only finest essential or fragrance oils together with well balanced ingredients including water softeners. Organic massage bar made by hand in small batches with Cocoa and Shea butter. Cocoa butter said to be great for regenerating skin cells and restoring Elasticity. Shea butter nourishes the skin with Vitamin A, E & F. Vitamin A and E help maintain the skin and keep it clear and healthy, particularly helpful for sun damaged skin. They help prevent premature wrinkles and facial lines. Vitamin F acts as a skin protector and rejuvenator. It soothes rough, dry and chapped skin. Shea butter (known in Africa as ladies gold) easily penetrates the skin allowing the skin to breathe without clogging pores. Shea butter has high level of cinnamic acid a natural skin screen. 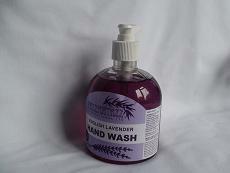 Renowned for its antibacterial and antiviral properties, Simple safe soothing solution made using English Lavender. Tea Tree Oil was originally used by the Aboriginal Australians to treat ailments such as, insect bites & skin infections, thought of as one of the most marvellous healing resources that Nature has to offer. Over recent years this has been backed up by much research. 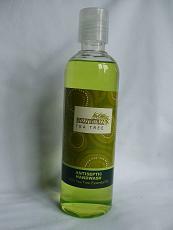 It is now known and widely recognised that Tea Tree Oil does indeed hold magical healing, antiseptic and antibacterial properties which have now been brought into the modern and traditional aromatherapy practices of today. 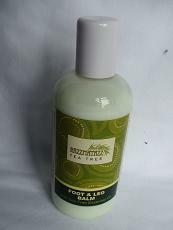 Tea Tree foot and leg balm 100ml bottle. 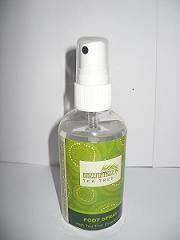 Tea Tree is well known for its anti-bacterial and anti-fungal agent. Tree Oil was originally used by the Aboriginal Australians to treat ailments such as, insect bites & skin infections, thought of as one of the most marvellous healing resources that Nature has to offer. Over recent years this has been backed up by much research. It is now known and widely recognised that Tea Tree Oil does indeed hold magical healing, antiseptic and antibacterial properties which have now been brought into the modern and traditional aromatherapy practices of today. Tea Tree Oil was originally used by the Aboriginal Australians to treat ailments such as, insect bites & skin infections, thought of as one of the most marvellous healing resources that Nature has to offer. It is now known and widely recognised that Tea Tree Oil does indeed hold magical healing, antiseptic and antibacterial properties which have now been brought into the modern and traditional aromatherapy practices of today. ENGLISH LAVENDER simple, safe and soothing, a timeless classic, women throughout the ages have found it appealing, with its unique ability to influence the mind, body and the senses lavender essential oil is said to be good for relaxation.